Say you have limited screen real estate, and you would prefer not to toggle between a command prompt and (for example) a browser tab. Maybe you are referencing command line instructions on a website and you would simply like to stay in the command prompt window and have it overlay the website. 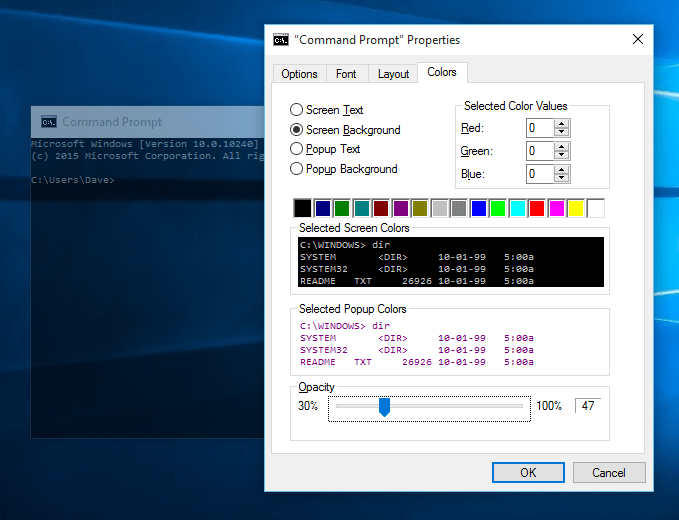 This can be easily accomplished in Windows 10 by making your command prompt transparent. 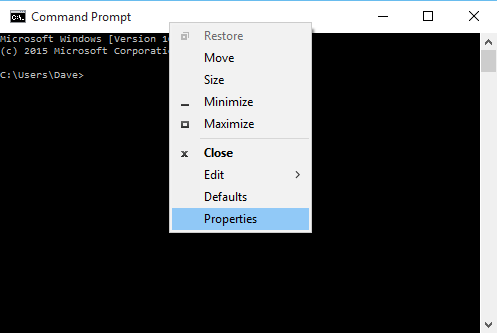 Open a command prompt, right-click the title bar, and click Properties. Click the Colors tab, and at the bottom of this tab there is an Opacity slider. Move the slider to set your desired level of transparency.